15% of the UK’s homes are off the main gas grid and now homeowners can earn £6,000 every year for 7 years by switching from oil to renewable energy. 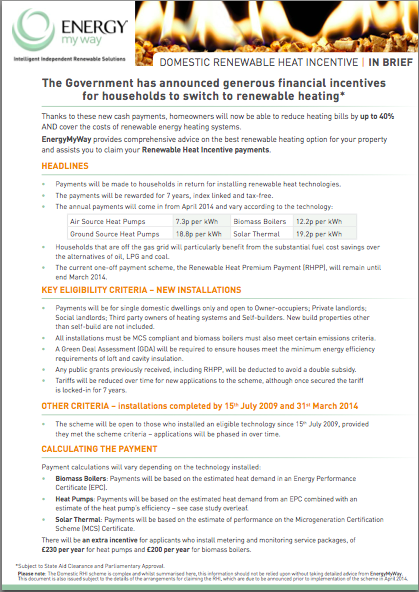 The Government has announced generous financial incentives for households to switch to renewable heating (subject to State Aid clearance and Parliamentary approval) and thanks to these new cash payments, homeowners will now be able to reduce heating bills by up to the 40% and cover the costs of renewable energy heating systems. Those households likely to benefit the most in financial terms are off-grid properties running on oil or LPG with the space to install a biomass boiler or heat pump. There are around 4 million UK households not connected to the mains gas grid. 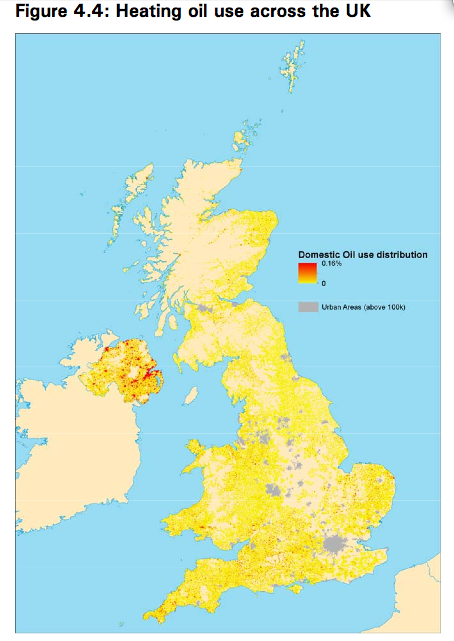 51% of off-grid homes in the UK are in rural locations, with heating oil being the most popular fuel source. UK average heating costs for heating oil and LGP have risen in the 4 years prior to 2011, with LPG being the most consistently expensive and heating oil being the most volatile. What are the costs and returns like? To begin claiming RHI payments, homeowners are advised to contact an MCS-accredited renewable energy installer to discuss their options, have their property surveyed, and understand prices and returns.